The VALiens fourth in Germany! Wonderful race of The VALiens, with a bitter taste at the end. Great performance indeed, as per the always perfect Paffet, at the very top of the Championship table, after race 1 of this incredible DTM season. Waiting the qualify for the DTM 2012 SPA GP, which will be visible soon on Lars Grobelmacher YT channel, here you have the current DTM 2012 Championship chart, just after the Hockenheim GP. Is it what fans were expecting? Hockenheim GP 2012 results and points after first race of the season. 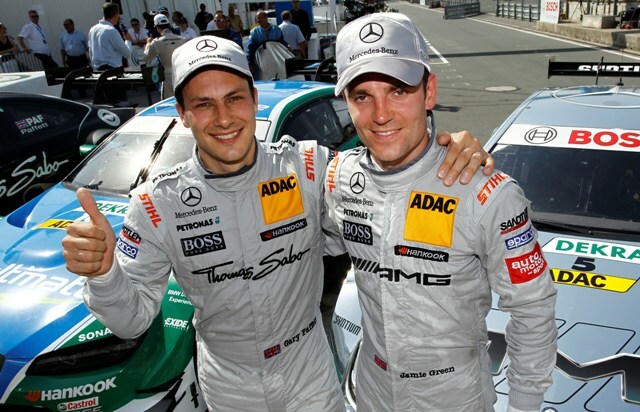 Paffet and Green, always on the Top.. what a 1 – 2 they put together.. but new challenges at the horizon. Will the VALiens be on the podium soon?